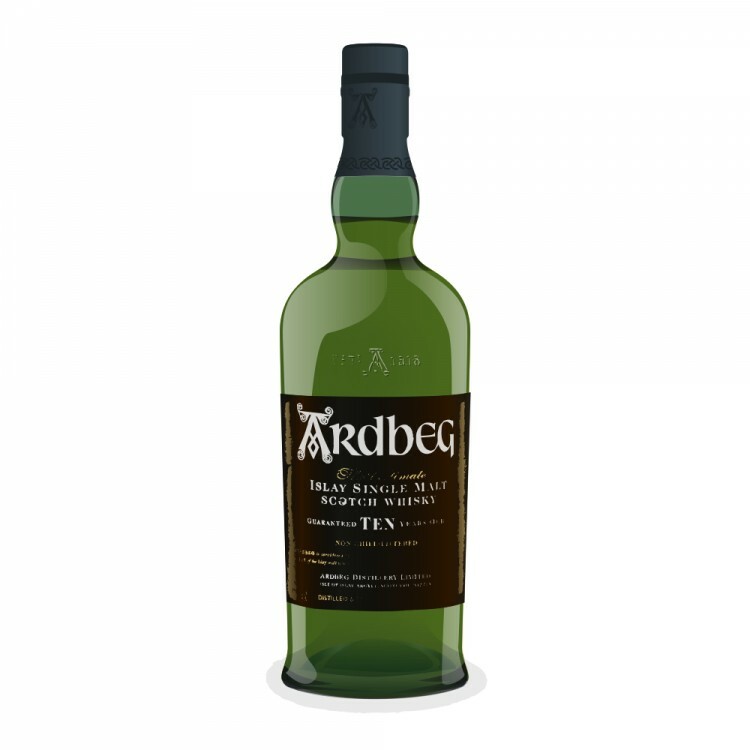 A classic by all accounts, the Ardbeg 10 is a dram no whisky nut can dare miss. At £40 in the UK, consistent quality and deep complexity come at a price that won’t break the bank. This particular bottle had been open around a week. And i would like to pay particular attention to the beautiful light gold colouration of the whisky itself once poured into the glass. No caramel colourings here ! Nose- First comes a gentle waft of smoke with sweet notes of caramelising sap. Caramel and smoked ham develop as the whisky opens up (just a few minutes in the glass) followed swiftly with the remnants of what can only be the faint remembrance of fresh sea air. Is it mint I detect in the background? I can’t quite tell. But a wonderful nose with deeper vegetal notes that are hard to grasp. Palate- Smokey sweet. Smoked ham and raisins? Who knew they could make such a grand dance on the tongue. Mint follows just as it did on the nose, accompanied by just a touch of sea salt and a sprinkling of crushed almonds. Finish- Medium finish with both the sweet and the smoke of the palate fading away together. The smoke dissipates faster at first. But suddenly the sweetness is gone and I’m left with warm smoke which seems to cling to my tongue and the inside of my mouth. Conclusion - A wonderfully complex whisky which punches way above both its respective age and price brackets. Peated whiskys are not usually something i would recommend to everyone... but I honestly believe this dram has a little something for everyone.